In 2010, US Dressage rider Courtney King-Dye, who represented the United States at the Beijing 2008 Olympic Games and at the FEI World Cup™ Dressage Finals 2007 and 2008, suffered a traumatic brain injury. 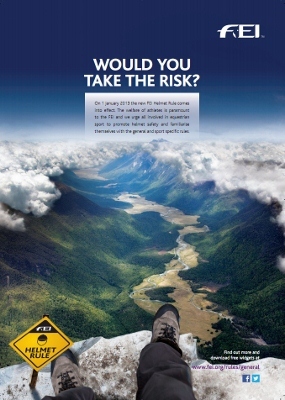 Now, the FEI is launching a global campaign to promote the use of helmets. The move comes two weeks before a new rule goes into effect that makes the use of a properly fastened helmet mandatory while riding on the show grounds at FEI events. “I think my accident was necessary in the fight for safety because an Olympian who sustains a brain injury while riding proves that injury has nothing to do with level of skill,” King-Dye commented. 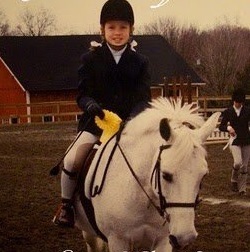 “For 15 years, I was a person who only rode the young or ‘dangerous’ horses with a helmet, but my horse did nothing naughty, he just tripped over his own feet. The email campaign will contain a series of strong visuals reminding athletes of the importance of safety, and particularly of helmet use. These reminders will be sent to the National Federations, athletes, clubs, and various FEI stakeholders on a regular basis throughout 2013. A special page outlining the protective headgear requirements specific to each of the seven FEI disciplines has been created and can be accessed here. Helmet use has been at the forefront of several campaigns in recent years. King-Dye, who recently won the FEI Against All Odds Award, advocates educating equestrians on the benefits of wearing helmets through the Riders4Helmets campaign. 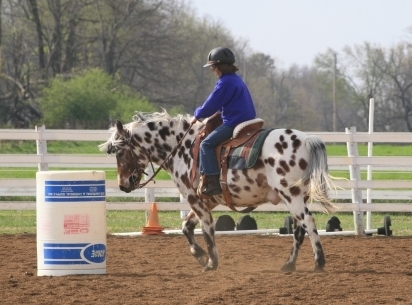 Her injury happened when a horse she was schooling tripped and fell. She wasn’t wearing a helmet and fractured her skull in the fall. After four weeks in a coma, she spent three months in hospital re-learning how to walk and talk. The after-effects of the accident still severely affect her coordination and speech. The new helmet rule goes into effect on January 1, 2013.